Living in Cape Town, we really are so blessed to be surrounded by so much beauty right on our doorstep! Very often we get caught up in the hype of travelling far and wide – I too am guilty of this and let’s be honest, who doesn’t love the thrill of hopping on plane to a fabulous overseas destination?? 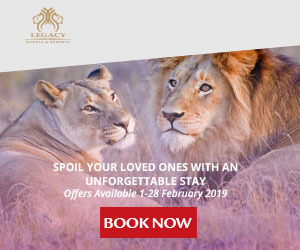 – but with so much choice just a few hours drive away, you can sneak in a rather indulgent weekend away and enjoy more of our beautiful country. We have the most spectacular coast lines and whether you go east or west, you are bound to find a gem that will steal your heart. My husband and I have really made sure we’ve explored both coasts and half the fun of going on a road trip is passing the picturesque little towns along the way and delightful farm stalls you can stop in at for a coffee and freshly-baked delicacy! We’ve decided that every year for our anniversary we will pick a place to go to for the weekend to get out of town and spend some quality time together. This year we headed to the tiny fishing village of Arniston about 2.5 hours outside of Cape Town for some much needed R&R and took advantage of the fabulous (and indulgent!) winter special at the Arniston Hotel. The best part of this sleepy town for me? There is VERY little to actually do (unless of course you enjoy fishing) so a weekend of good food, long walks, board games and afternoon naps was on the cards. On previous trips to Arniston, we have stayed at the Seaside Cottages which are a little rustic although great for a weekend with friends but as this was a celebratory weekend, we booked in at the Arniston Hotel and from the moment we stepped through the doors, I could not have been happier with our choice! Our very spacious room had a sitting room area with a fireplace, which was put to very good use on a very chilly afternoon and little balcony with a magnificent view of the ever changing colours of the sea (the two photos above were give you a good idea). Now for the May special – on top of your bed and breakfast (the freshly-baked, straight out of the oven, melt in your mouth croissants won me over! ), you also receive a ridiculously indulgent Seafood Platter for two which had me in my element! We could have chosen a three-course meal off of the a la carte menu but there was no way we could resist the platter (especially as it included crayfish!) and it was so good, we had it on both nights. You can choose from two restaurants in the hotel, the Bistro and Hotel Restaurant and you can order off of either menu at both restaurants. We ate at the main restaurant both nights but had lunch at the Bistro and pre-dinner drinks at the bar as it has a more relaxed, vibey atmosphere and a roaring fire going all day. But aside from the good food, what really impressed me the most with this hotel was their attention to detail. From the filter coffee, rusks and sherry in your room to the turn-down service and chocolate on your pillow at night, nothing was forgotten. The fridge was stocked with still and sparkling waters which were regularly topped up and towels re-fluffed after every visit. It’s always the little things that make the biggest impact and in this case it was most definitely the friendly staff and small touches that made this stay so fabulous! Arniston is a very sleepy little village but it has some beautiful walks you can do and despite the chilly weather, we wracked up a good few miles strolling along the coastline – and if you walk down onto the beach, you’ll hear the beautiful sound of the sea racing over the pebbles as the tide washes out. For a little bit of adventuring, you can make your way down to the Waenhuiskrans Cave – a huge cave situated in the Nature Reserve that is only accessible at low-tide (be sure to check the times before you go so you don’t get caught out). After scrambling over barnacale-covered rocks and leaping over puddles, you need to squeeze through the rather narrow entrance to the cave before you are greeted by the most spectacular view out to the sea from inside the cave. As the tide fills the cave it is quite damp and chilly inside but as you wander around, you realise it’s sheer size – it’s actually named after the idea that a wagon and full span of oxen could turn around in the cave (not that they’d ever get there!) It’s filled with rocks, little pools and the odd bat but it is so beautiful to stand and listen to the waves crashing in front of you, washing up right to your toes. Another must see just outside of Arniston (about 20 kms away) is Cape Agulhas – the Southern-most tip of Africa. Here the Indian and Atlantic oceans meet and you can stand with a foot “in each ocean” which makes for a fun photo opportunity. You can visit the Agulhas lighthouse and enjoy the pretty views out over the sea and try to spot the many shipwrecks that lay just off the coast (once known as the Cape of Storms given that around 250 ships have been wrecked there) Be sure to drive a little further through the National Park and see the the remnants of the Japanese Fishing trawler, Meisho Maru 38, that ran aground in November 1982 (all 17 crew members survived). It really is a sight to behold and there is definitely something so haunting about a shipwreck no matter what the outcome for those onboard. With the cold weather fast approaching, it’s time to start planning another sneaky weekend away!